We were nominated/tagged by two fellow blogger pals, A New Life Wandering and Mrs Ayla’s Adventures for #atasteoftravel blogger competition. Although we are not eligible to win the prize and we are not entering this post into the competition, we thought it would still be fun to get involved in creating a three-course menu from the foods we have tried on our travels. Simply because we could decide on JUST one for each 🙂 – Apologies in advance that there are no vegetarian options. So here goes the Wise Monkeys Abroad 3-course Travel Menu. 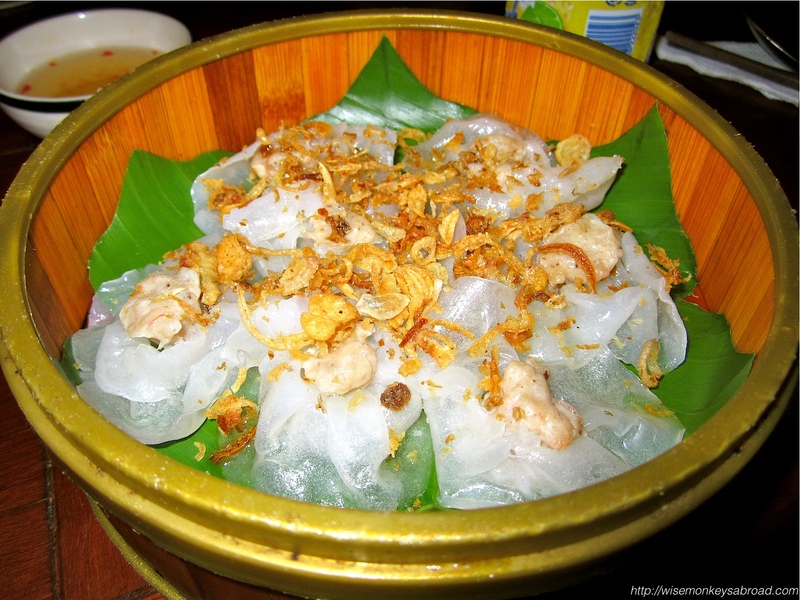 A steamed dumpling filled with shrimp bunched to look like a rose. It is served with toasted garlic and sweet dipping sauce. 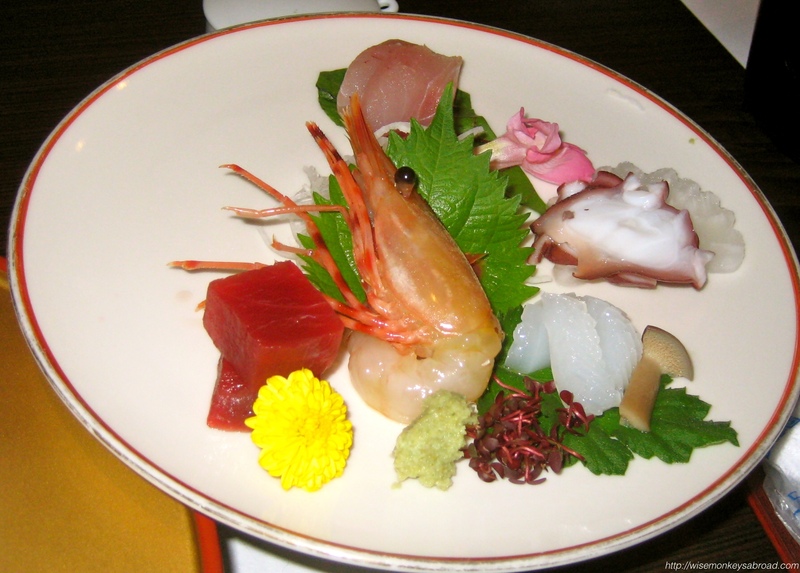 A selection of uncooked seafood includes tuna, prawn, squid, octopus, yellow tail . Served with wasabi and shaved radish. An infusion of gruyère and emmental cheese in dry white whine. Served in a casserole on top of a spirit lamp and a basket of bread. 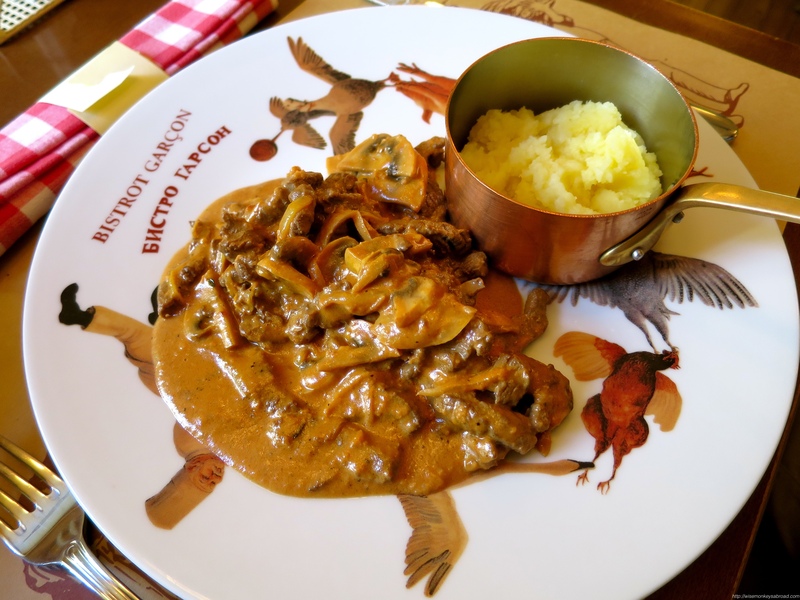 Sauteed beef in a mushroom, sour cream based sauce. Served with a side of mash potatoes. Aromatic rice cooked with seafood, chicken and vegetables over an open fire. Served in the pan it is cooked in. 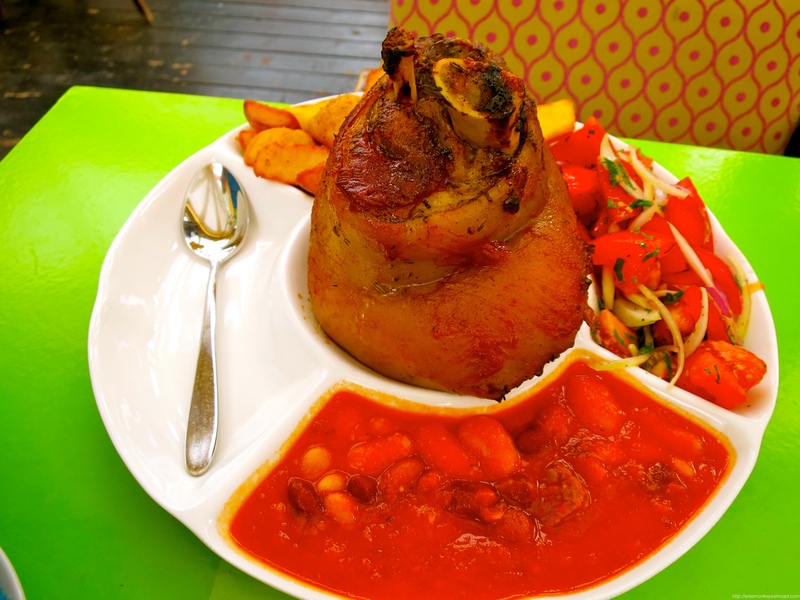 Served with beans, fresh tomato salad and potato wedges. 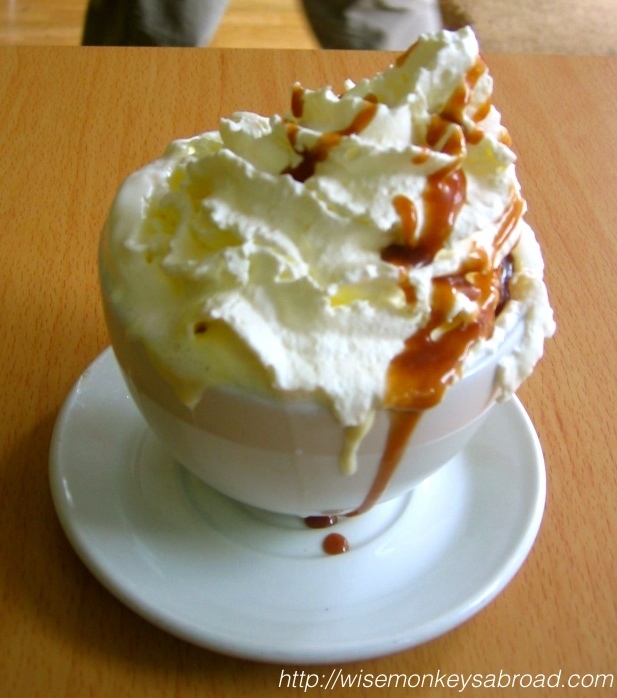 A hot chocolate served in a bowl, topped with whipped cream and chocolate sauce. Vanilla custard based layered underneath a hard caramel top. 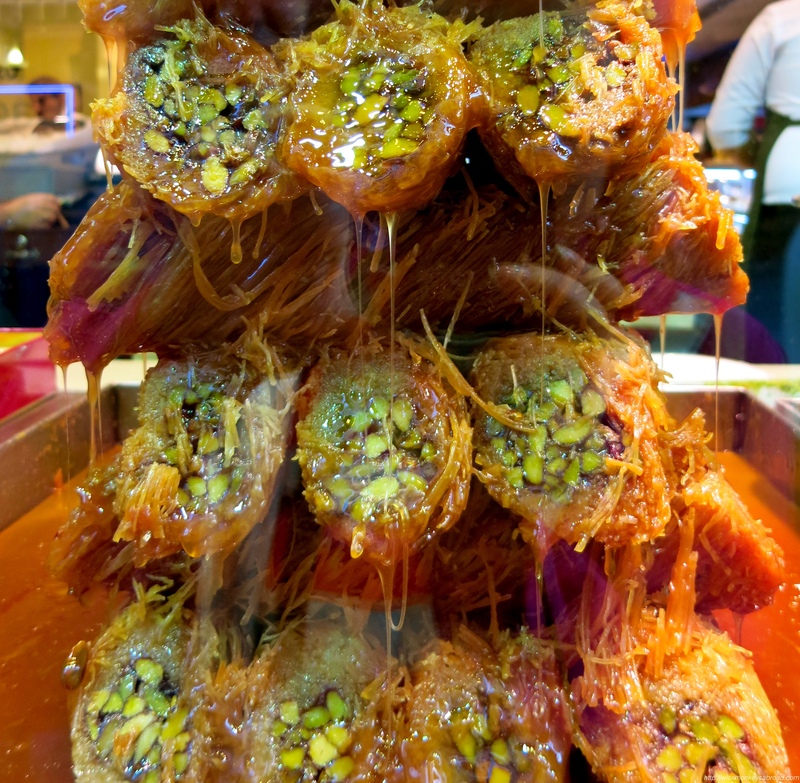 Chopped pistachios wrapped in filo pastry and held together with a sweet syrup. This entry was posted in France, Japan, Latvia, Russia, Spain, Switzerland, Turkey, Vietnam and tagged food, food menu, Good food, set menu, taste of travel, Travel. But dumplings for entree, beef stroganoff for the main course, and creme burulee (did I spell that right?) for dessert! They were ALL delicious 🙂 You have chosen wonderfully! The Creme Brûlée was the BEST we’ve ever had anywhere! Cheese fondue, Beef Stroganoff and Baklava today, thank you! But ask me on another day and my order will probably be different! I’ll have cheese fondue, beef stroganoff and crème brulee thanks! Do you deliver? That’s a tough question. I would probably pick the paella or the stroganoff. I’d have no problems try any – make that ALL – of the desserts. It was such a fun competition – although we sadly couldn’t enter, we still enjoyed thinking about a post from a different perspective! LOL – Glad you liked our choices Shelley 🙂 One of everything (except the pork knuckle) coming right up!! OMG – all my favorite things! 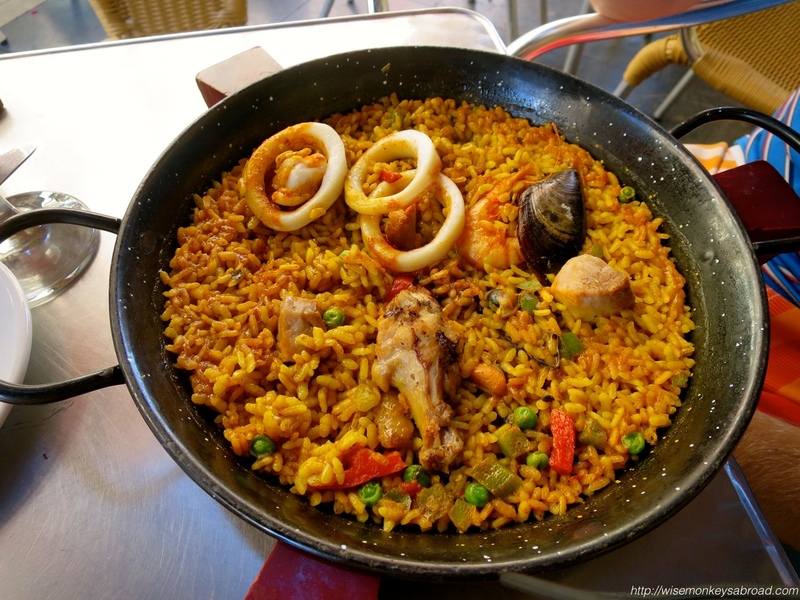 Dumplings, paella, and baklava all the way. I want it all now! Wow! I would choose anything that doesn’t have seafood! More specifically, I would choose the fondue, the beef, and the chocolate soup! Yum! Delicious choices! When we finished writing up the menu, we realised our choices were heavy on the seafood and also options lacking for vegetarians…. 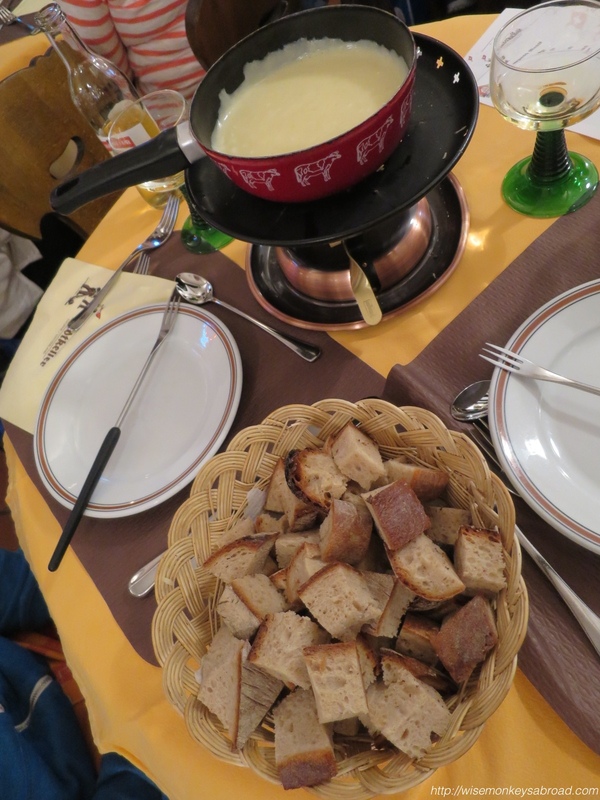 Have to agree with the Crazy Chinese Family: fondue, beef stroganoff, and of course, chocolate soup. Sounds delicious. Brrrrrrrr!!! That is COLD! We better not tell you what the temps here then. But actually today is overcast and rather gloomy for a summer’s day. Sounds like great choices! The entree is probably enough to fill anyone up, you probably don’t need a main 🙂 Thanks for your order. Heading to Vietnam next month, spending a few days in Hoi An. Any recommendations, restaurants or otherwise? The white rose dumplings look fantastic! Hey there Alex, we were there only about 2 days – there was a tropical storm coming so we needed to get out before we got stranded due to flights being grounded. We stayed at the Life Heritage Resort which we believed has changed names now. We really loved it there – very luxurious. We also did a day trip to My Son from Hoi An which we really enjoyed. With restaurants, we tend to not remember everywhere we go to eat because generally we eat wherever LOL. We wander the streets until we see somewhere that catches our eye. We weren’t brave enough though to try street food in Vietnam as we only had a short time there and didn’t want to spend it in the bathroom. I like your style having 3 choices of each course! So hard to just pick 1 isn’t it?! Oops sorry didn’t realise you’re not eligible for the competition but glad you took part anyway with those delicious sounding meals. Chocolate soup?! Can’t believe I didn’t try this when I was in Edinburgh! Helllllo Ayla. How was your weekend? Just checked the shop that sold chocolate soup in Edinburgh… called “Chocolate Soup” (very adptly named) and it is closed now 😦 So you can’t even “duck” up for a weekend and try it out! Shucks. Too much yumminess – I can’t choose!! I know I’d go for the chocolate soup (chocolate always wins over everything)…but other than that I want it all! PS fabulous choice with the chocolate soup – absolutely divine! So fun! I’m glad you did this. I would order the fondue, the paella and the baklava :p! We have had this on our radar to do for ages and just never got around to it! It was a lot of fun – thanks for the nomination! I’ll have the sashimi platter, paella and creme brulee, please! (Seafood is my weakness). Ooooh delightful choices! 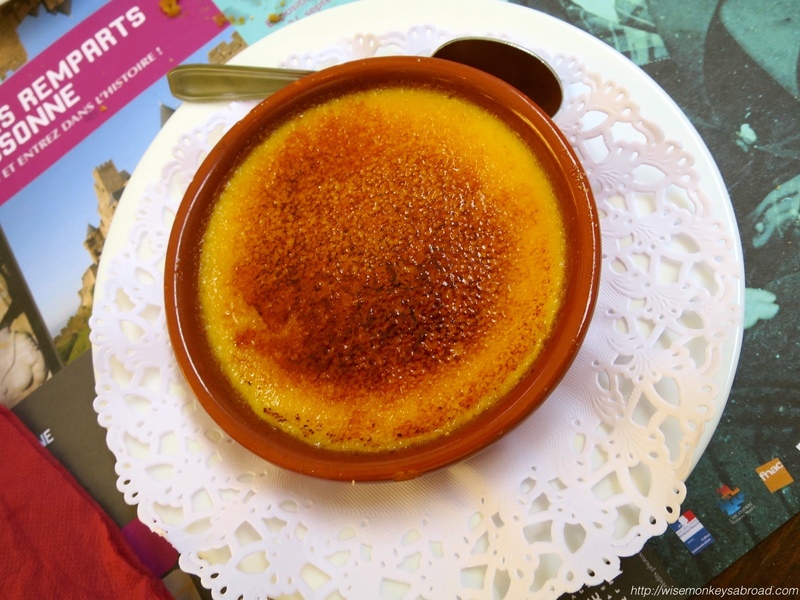 We would have to admit, that we would probably choose the exact same if this menu was in front of us and we HAD to only choose one of each 🙂 We still dream about the Creme Brûlée! White Rose, Seafood Paella,Pistachio Baklava! Thanks for putting your order in 🙂 We will endeavour to get it to you as soon as possible! Sashimi, followed by paella and topped off with creme brûlée, please. A Hunter semillon with the sashimi, a Rioja withe the main and a botrytis semillon for dessert. To completely mix it up, how about served overlooking the Danube from the Fisherman’s bastion? I’ll have the White Rose dumplings, Beef Stroganoff and the Crème Brule, please. Wonderful choices 🙂 Matching wines to go with? Yes, please. What do you suggest? Oh my goodness, that is so much food! Amazing! I’m definitely up for the fondue and the baklava! I ate lots of great veggie food in Russia!